WHETHER YOU’RE A PLEASURE RIDER, A BREEDER, OR A VET, WE’VE GOT YOU COVERED! You are a horse owner’s trusted source of equine nutrition advice and information. Use FeedXL to save you time and streamline the process of providing nutrition advice to your clients. 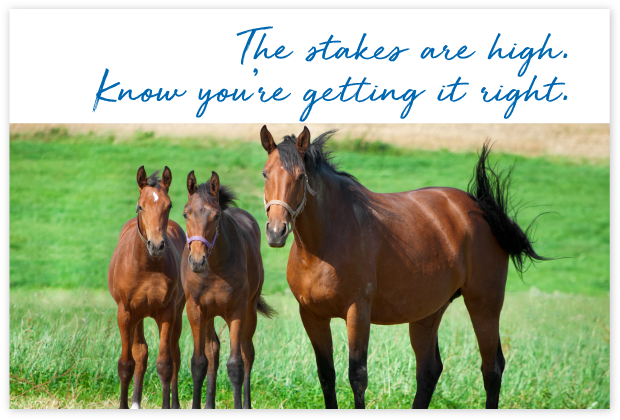 Identify deficiencies and toxicities, sort the good from the not so good supplements, quickly identify feeds suitable for horses with conditions like laminitis and much more. I have used FeedXL for many years now and ﬁnd that it is an excellent and easy to use program that takes all the guess work out of feeding horses and as well as having horses of my own, I work as a vet, so provides a lot of helpful nutritional advice. FeedXL has helped me greatly in providing nutritional advice to clients. With all the marketing hype and multitude of opinions out there, it can be difficult to decide what to feed, and this is why it is so invaluable to get an accurate and non-biased assessment of your horses’ diet. Love it!!! 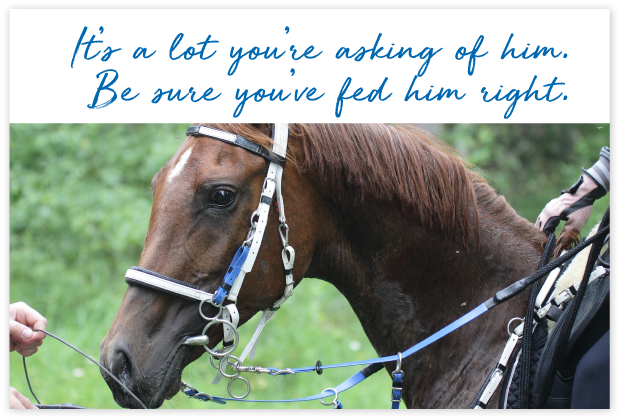 More and more people are seeking out professional advice when it comes to what they should feed their horse. One of the biggest time consumers for you is tracking down information on the huge variety of feeds, forages and supplements people use. FeedXL gives you the nutrient information for thousands of ingredients at your fingertips. Not to mention it generates attractive, easy to read reports to make your job easier. FeedXL is the most accurate and easy system to use. It’s an excellent guide to what’s in your horse’s feed and whether its real needs are being satisﬁed. People with whom I work who are using FeedXL have saved money on feed costs and they have been very happy with the results; it pays for itself. 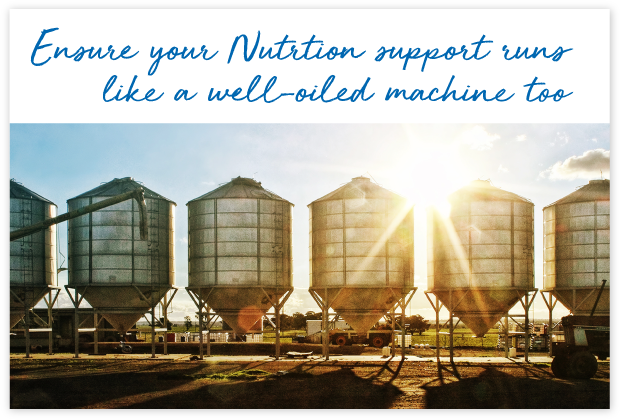 Streamline nutrition support for your customers by using FeedXL. Quickly assess rations being fed and provide suggested diets that incorporate your own feeds or supplements. With thousands of feeds, forages and supplements in our database and rapid generation of professional PDF reports, FeedXL will let you provide the best advice in less time. I’ve been a professional in the equine nutrition industry for fifteen years and FeedXL is my go-to resource for analyzing any horse’s diet. I use the service for my own horse and recommend it to SmartPak’s customers all the time. This software is easy to use and provides practical, scientifically-sound results. There are so many aspects to being an equine athlete: performance, behaviour, joint health, coat shine, immune function (to name just a few). It takes years of hard work and beautiful partnership to create an amazing horse. 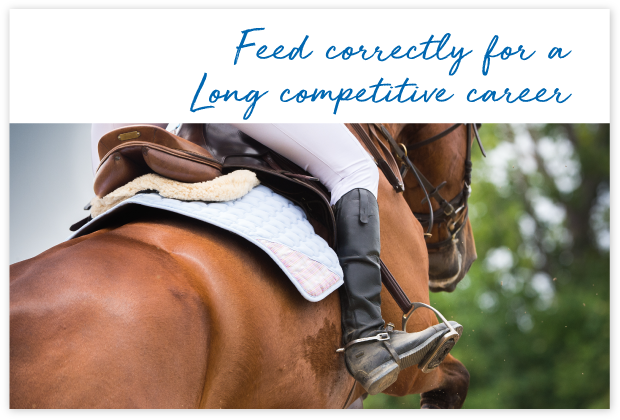 Use FeedXL to get nutrition right and keep your horse happily competing for many years to come. Now my horse is talked about at competitions for how elegant and beautiful he is and what a talented dressage horse he is rather than for what a fat stumpy-legged waddling excuse for a dressage horse. Extreme thanks to Nerida and all the crew. 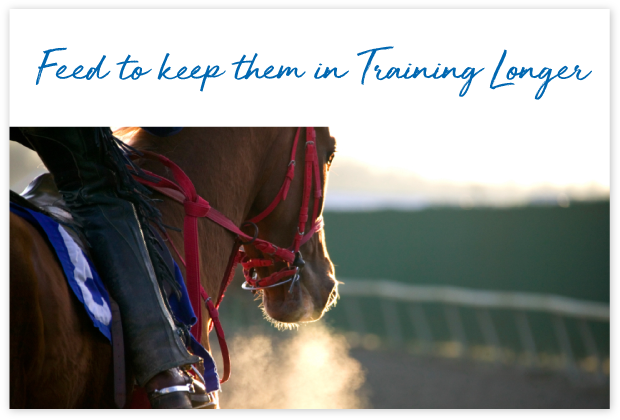 Endurance is a big ask for a horse and is probably the one horse sport where if you get nutrition even slightly wrong, it will have a huge impact on how well your horse copes with the demands placed on him during a ride. 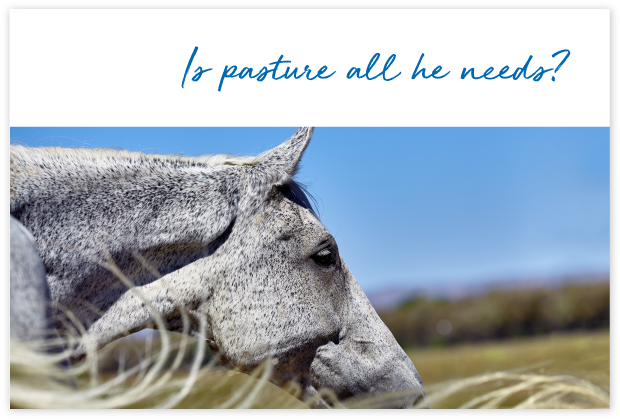 Use FeedXL to get nutrition right so your horse copes easily with the rigours of a ride and give yourself the peace of mind you are doing the best you possibly can for him. Keep feeding costs under control. FeedXL has really helped me ﬁnd the missing nutrients for my endurance horses and eventers that are in hard work. It’s helped prevent tie up and fatigue. It’s great. Your horse is much more than a horse, he is your friend, with an ear that listens, and a big shoulder you can lean on. We know you want to give him the best possible nutrition. We also know horses can be expensive to feed. With the help of FeedXL it is possible to come up with a perfect ration without costing you a fortune. Happy days! I would like to thank you for almost halving my feed bill, and more importantly making my ponies healthier than ever! The grey pony is Ted, this is the ﬁrst year his coat has had some sparkle in it, and he holds his weight a lot easier now! So much of breeding a healthy foal is dependent on sound nutrition. Luckily though, it is all just about getting your basic nutrition principles right. And this is where FeedXL comes in. Use FeedXL as a tool to make sure you meet your broodmares requirements through pregnancy and lactation and then continue to balance diets as your foal grows and matures. This is Stella with her 2016 ﬁlly Cyndi. Sired by Good N Lazy. Love the FeedXL program. It has allowed me to balance the rations for my mares and foals in order to maximize milk production in the mare and growth in the babies. If you want to win races, first and foremost you need a horse that can run! But you also need to feed in a way that will support muscle development, aerobic fitness, joint and gut health. Nutrition is never going to make a horse that can’t run fast win, BUT it will keep the ones that can run sound, healthy and in training longer. FeedXL makes doing this simple. Love it. 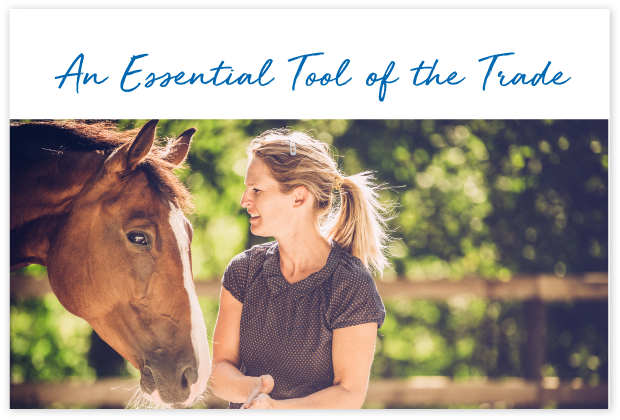 User friendly… As a race horse trainer, I find it an invaluable tool, especially for difficult issues like sub-clinical laminitis and tie up syndrome. Makes diets slightly less mystifying! 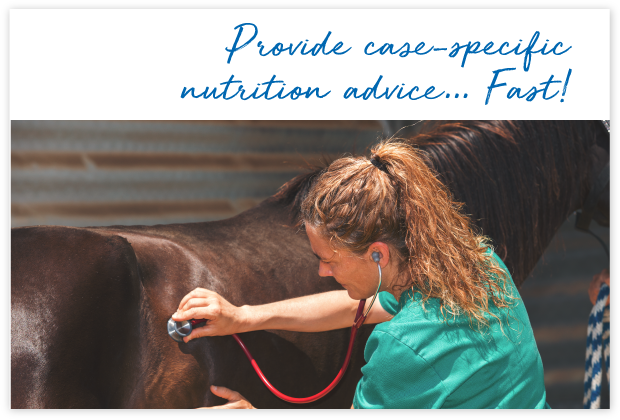 Do you teach equine nutrition? 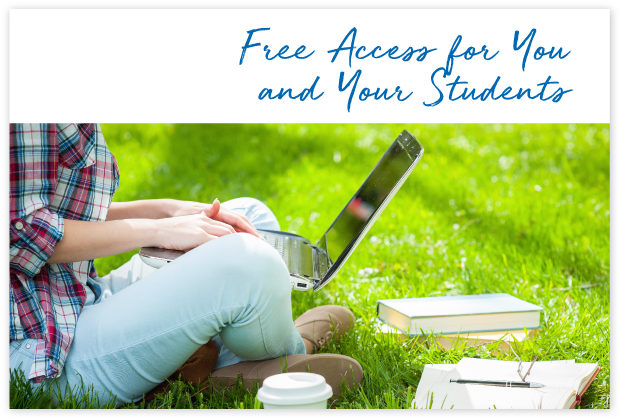 We provide 100% free access to FeedXL for yourself and your students. If you would like to use FeedXL as a teaching tool in your nutrition classes please get in touch. No download or installation, students can use FeedXL from any computer with internet access. Want to use it? We would love to hear from you: email us. We have been using FeedXL for teaching applied equine nutrition to students in the veterinary science and animal science programmes at Murdoch University since 2008. Ration formulation workshops using FeedXL provide a terrific bridge between theory and practice, helping students consolidate their understanding. Our students come from a wide range of backgrounds, ranging from extensive to limited equine experience, and activities based on FeedXL challenge the experienced students without overwhelming those still developing their understanding of the principles of feeding horses. The ration formulation activities consistently receive positive feedback from students in teaching and unit surveys. The software is intuitive to use, and we have received great technical support from Nerida and the FeedXL team. We know what these little guys mean to you because we have some of our own! Cheeky, lovable, friendly and always a big shoulder to lean on when you need one (even if they are really small). They mean the world and we know you just want to look after your paddock pets the best way you can. Nutrition is the foundation needed for good health. Get their basic feeding right, with enough fibre, balanced vitamins and minerals and feed ingredients that are safe for them, and you will be well on the way to having healthy, happy little mates for many years to come. I found that I needed to signiﬁcantly increase my horse’s feed. I had assumed that since he had unlimited hay in addition to what I was feeding that his needs were being met, but they weren’t.